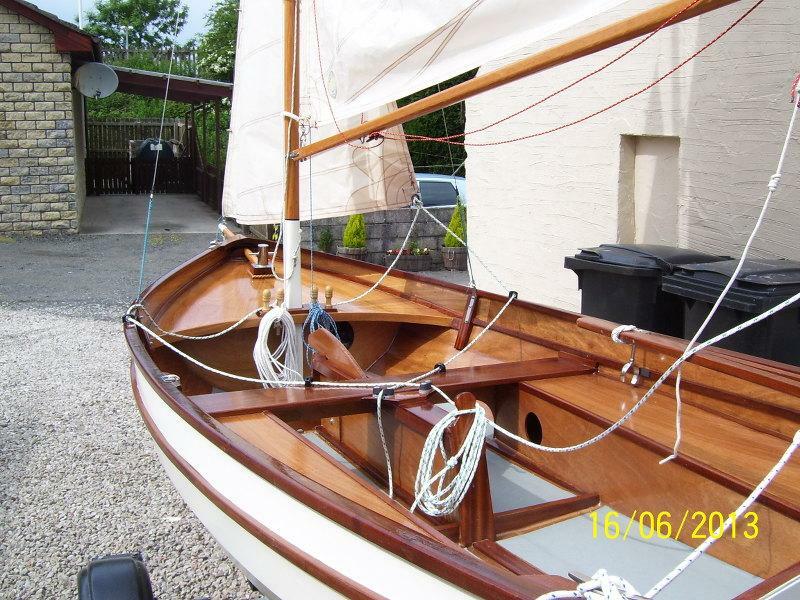 A recently completed Fyne Four sailing dinghy. A superb example of the boat. Richard I shall pass on your comment. 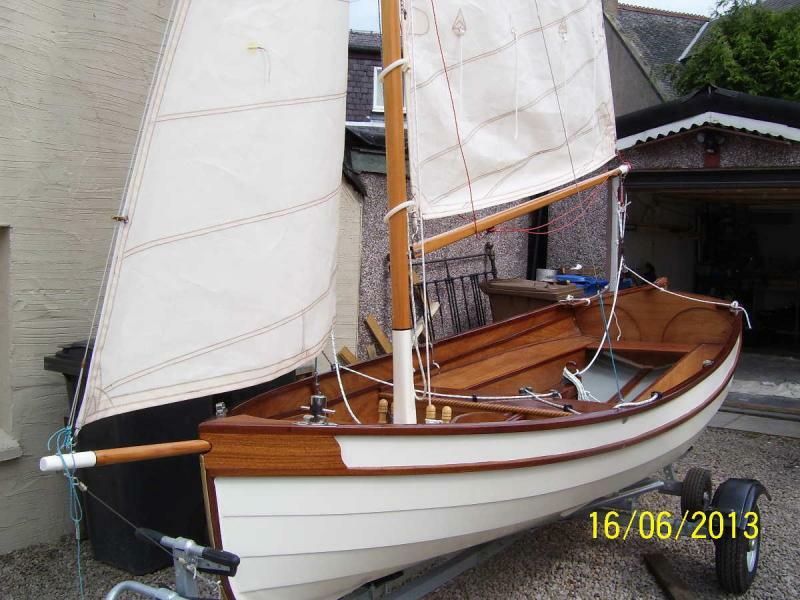 How much of this lovely vessel is standard kit and how much customised? The dark wood trim over the joint between the top two panels on the inside of the boat. The wooden hook for hanging the sheet onto the aft of the centreboard case. He has not used the broken inwales which are in the kit. This boat has also been rigged for single handed sailing. Lovely looking boat. I noticed that the boat is on a combi trailer. Is it ok to transport the FyneFour on a combi trailer? (Just wondering if the lack of support at the stern is a problem.) Also does anyone know the make of the combi trailer? I do not know what the make of the trailer is but shall see if I can find out. I have never used a combi trailer for this boat since we find it light enough for two people to pick up and put in the water. Other people simply roll the road trailer in. However, I suspect that the boat will be fine. The trick is to stop it bouncing.